Greens in the European Parliament abstained from voting on a report aimed at tackling youth unemployment, calling it “weak” and saying that it puts too much of the blame on young people. The Parliament’s employment and social affairs committee voted 37-1 in favour of the draft report on Tuesday (9 July). Seven Greens abstained. The report weighs up proposals to bolster the prospect of Europe's youth not in education, employment or training and to better prepare them for the needs of the job market. It places particular emphasis on training, which combines work experience with vocational learning, known as “dual education”. Spanish MEP Raül Romeva i Rueda, the Greens’ youth and jobs spokesperson, said the report failed to add anything to existing EU measures on youth employment and to put pressure on European leaders, who met in Berlin last week to debate current proposals. “While in Berlin heads of state meet simply to talk about this issue, the European Parliament does nothing to pressure them into adopting an ambitious agenda on young people's needs,” Romeva i Rueda said. In a statement, Joanna Skrzydlewska, the Polish MEP in European People’s Party (EPP) who drafted the report, called for action from EU leaders. "In my report, I wanted to give a clear statement to all Member States that the problem of youth unemployment is an important issue that needs an urgent action. Moreover, further financial commitment and the efficient use of the EU funds is necessary to ensure that young people seek, find jobs or create their own", Skrzydlewska said. MEPs in the employment committee welcomed the €8 billion seven-year budget leaders agreed at the last European summit to tackle youth unemployment. But they debated International Labour Organization estimates that the European Union needs an injection of €21 billion to implement EU youth employment reforms effectively. The Greens say the EU’s austerity measures are a main cause of the continent’s youth unemployment problem, an argument referred to in the report. But they believe that the paper, drafted by a member of the centre-right EPP, puts too much blame on the youth. Romeva i Rueda said “the report echoes the right-wing idea that unemployment can be blamed on individual failings and exhorts young people to try harder and learn more, blaming the individual rather than recognising that at the moment there are simply not enough jobs to go round”. The Catalonian was irked by the report’s call for more internships for young people. “Ms Merkel has indeed said that she wants to save a lost generation, but the EU leaders want to do it at any cost without respect for rights or quality, opening the door to discrimination against young people on the labour market and failing to end the exploitative strategy of ‘hire an intern not an employee’,” he said. Skrzydlewska advocates a targeted approach to youth employment through modernisation of education, adapting it to labour market needs and providing students with counselling and guidance at an early stage of secondary school. “We need greater efforts to close the gap between the skills of graduates and the needs of the labour market. This can be achieved by better adapting education and training curricula, focusing on dual education and promoting transversal skills,” Skrzydlewska said. 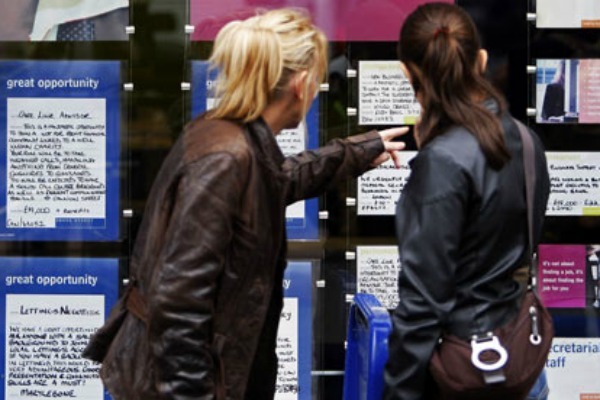 According to the latest issue of the European Vacancy Monitor, an EU labour market bulletin, there are 1.7 million job vacancies in the EU, despite record unemployment. The EPP also called for measures to develop youth entrepreneurship, including tax cuts, education and aid programmes. "We want that every EU country includes, until 2015, entrepreneurial education in its school curricula and that the exchange programme 'Erasmus for Young Entrepreneurs' is enlarged to 10,000 exchanges per year", said EPP lawmaker Paul Rübig, who drafted the Parliament’s report on entrepreneurship. The Greens are to present their own report on youth employment strategy in the Parliament's next plenary session in Strasbourg, scheduled for September. According to recent figures from Eurostat, the EU’s statistics office, youth unemployment stands at 23.9% in the eurozone. EU heads of states agreed in February to launch a €6 billion Youth Employment Initiative, with the aim of making it fully operational by 1 January 2014. At European Council on 27 June leaders decided to increase the fund to €8 billion, with €6 billion "frontloaded" over the first two years of the next multi-annual financial framework, the EU's long-term budget. A Youth Guarantee scheme, introduced by each EU country according to its individual need, will apply to young people who are out of work for more than four months. It aims to give them a real chance to further their education, or get a job, apprenticeship or traineeship. The EU has a 2020 target of 75% employment for the working-age population (20-64 years).